파울리스타 대로에서 160m 거리에 위치한 Blue Tree Paulista는 상파울루에서의 좋은 위치를 자랑합니다. 대중교통을 이용하기에 편리한 위치를 자랑하는 이 호텔은 극장, 박물관, 쇼핑몰, 레스토랑으로 둘러싸여 있으며 무료 WiFi와 실내 수영장을 제공합니다. Blue Tree Premium Paulista의 모든 객실은 에어컨, 평면 케이블 TV, 금고 및 미니바를 갖추고 있습니다. 룸서비스는 24시간 이용 가능합니다. Restaurant Noah는 뷔페와 세계 각국의 요리를 선보입니다. 서양식 조식도 매일 제공되며, 일부 일본식 요리도 맛보실 수 있습니다. Blue Tree Paulista는 MASP - 상파울루 미술관에서 270m 떨어져 있습니다. 호텔에서 프레이 카네카 컨벤션 센터(Frei Caneca Convention Center)는 800m, 레부카스 컨벤션 센터(Rebouças Convention Center)는 1.2km 거리에 있습니다. 10개 이상의 객실 예약 시 별도의 정책이 적용됩니다. 자세한 내용은 숙소로 문의하십시오. 브라질 연방법 8.069/1990에 의거하여 만 18세 미만의 미성년자는 부모 또는 보호자 동반 없이 호텔에 체크인할 수 없습니다. 미성년자가 부모 이외의 성인과 동반할 경우 미성년자의 호텔 체크인을 허락하는 서면 동의서를 제출해야 합니다. 이 동의서는 양쪽 부모의 서명을 받은 후 공증 절차를 거쳐야 하며, 공증받은 부모의 신분증 사본도 함께 제출해야 합니다. 만 18세 미만의 모든 미성년자는 본인 및 부모의 신분을 확인할 수 있도록 사진이 부착된 유효한 신분증을 제시해야 합니다. 해당 사항은 미성년자가 부모를 동반하는 경우에도 적용됩니다. 미성년자가 부모 중 1명만 동반하는 경우, 동반하지 않은 부모의 공증된 신분증 사본과 함께 해당 부모가 서명한 공증된 승인서를 제시해야 합니다. 깔끔하고 위치가 좋아요 객실이 좀 추웠네요 가을과 겨울 사이에 날씨였거든요~~ 조식도 맛있고 직원들도 친절합니다. In front of MASP, Friendly staff, Organized room. 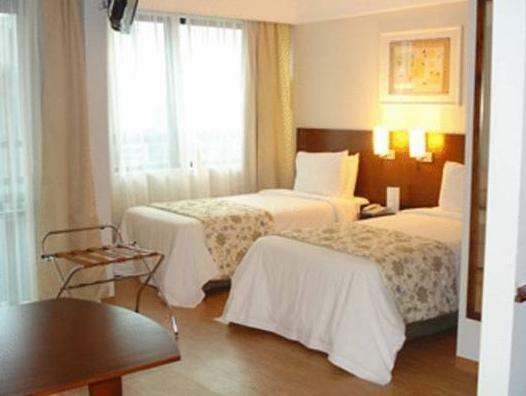 The hotel is located just 5 minutes walk from Paulista Avenue. Very convenient as many restaurants and café were nearby. Metro is also 10 minutes walk away only. Breakfast was great and hotel is very clean. Internet is fast. Will recommend this hotel. It was clean and pleasant. Best was the location which was near to many of the attractions in Beijing. The staff were polite and caring. I enjoyed my stay very much. Service was great, the staff at the desk spoke excellent English, and the other staff spoke enough. Breakfast was great, and the rooms were cleaned each day very well. Anything we needed, the staff did there best to provide. A/C was hard to figure out, but that may be user error. Walls were kind of thin. I was in Sao Paulo to visit my girlfriend for four days and had an amazing time at this hotel. The rooms were clean and great size. 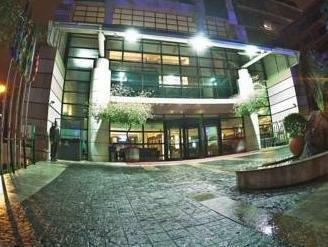 The staff provided excellent service and provided any assistance we needed. Great breakfast every morning, buffet style. I never had to worry about anything during my stay. It was a great experience, great room, great service. Excelente ubicacion.Muy buena atencion de parte del personal. Poco dominio del español en su personal. Durante mi estadia, el personal fue muy atento con osotros, de tal manera que siempre veian la manera de ayudarnos con nuestras necesidades, y que la pasaramos muy bien. Lo unico que me hubiera gustado, es que hubiera habida una agencia de viajes, dentro del hotel, para poder tomar mas opciones de tours. Las habitaciones me satifacieron completamente. This hotel serves excellent breakfast. The location is suitable for business trip. This hotel is also quiet and very comfortable. 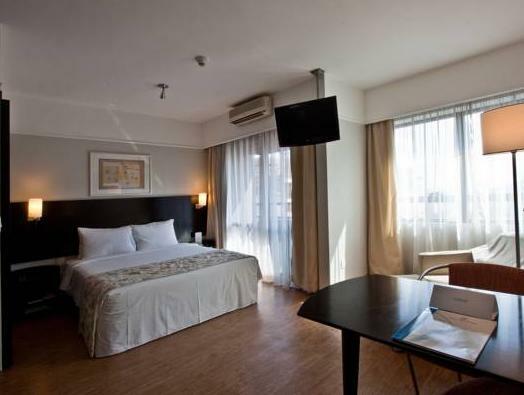 I will choose this hotel when my next time to Sao Paulo. many staffs can speak Japanese. Japanese cusin is included in their breakfast. japanese newspaper is available. Very comfortable place for Japanese people. Subway station is 5 min walk. Access to Liberdade area is easy. I stayed one night at approx US$105. It is value. 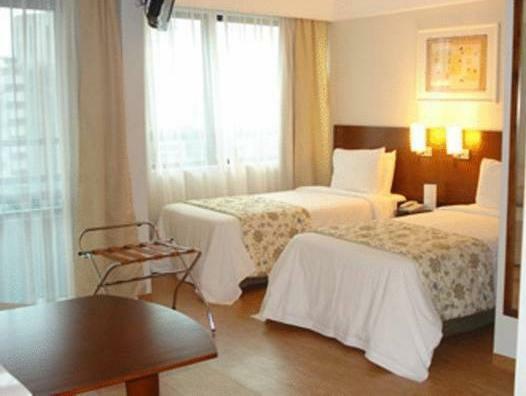 El hotel esta excelentemente ubicado, a solo media cuadra de la avenida Paulista y de allí una cuadra hasta la estación de Metro (Trianon-Masp). El hotel es muy moderno y las habitaciones son amplias y con vistas increibles. Es desayuno esde excelente calidad. Posee una pequeña pero muy agradable piscina, así como tambien gimnasio y spa.El personal es muy amable y se preocupa por solucionar cualquier inconveniente del huesped.